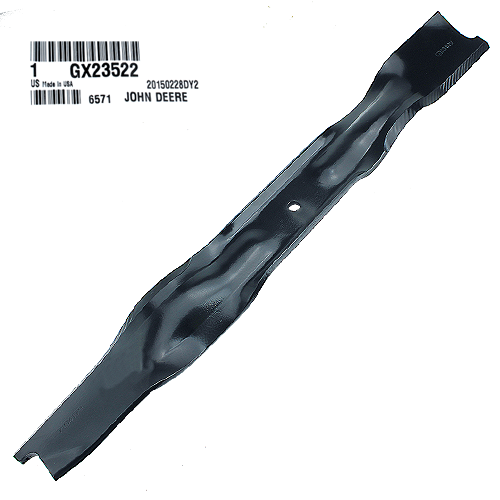 A genuine John Deere #GX23522 22" Walk-Behind Mower Blade. This blade is manufactured with a combination of carbon and boron to provide hardness for a long life and sharp edge without breakage. John Deere conducts extensive testing to ensure wear and longevity on all products. Sold as (1) blade. Original Equipment (OEM) part.